Explanation: Could you survive a jump off the tallest cliff in the Solar System? Quite possibly. 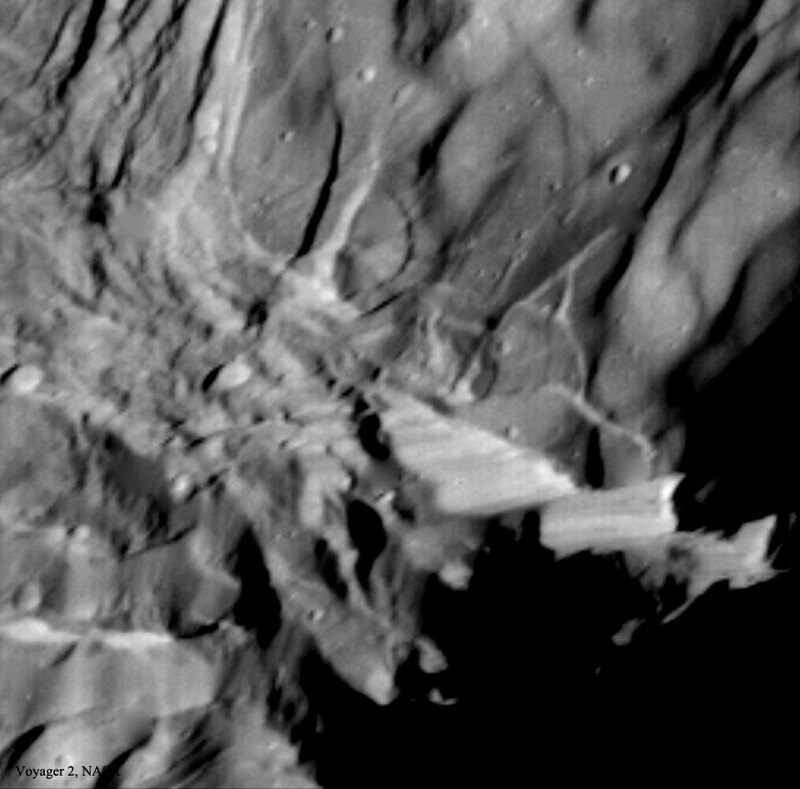 Verona Rupes on Uranus' moon Miranda is estimated to be 20 kilometers deep -- ten times the depth of the Earth's Grand Canyon. Given Miranda's low gravity, it would take about 12 minutes for a thrill-seeking adventurer to fall from the top, reaching the bottom at the speed of a racecar -- about 200 kilometers per hour. 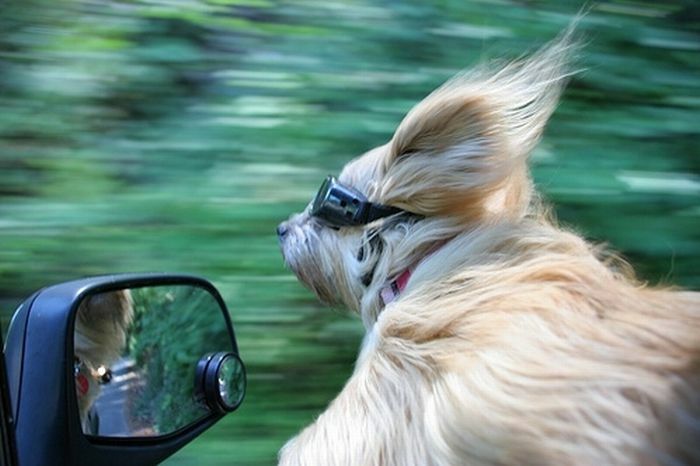 Even so, the fall might be survivable given proper airbag protection. 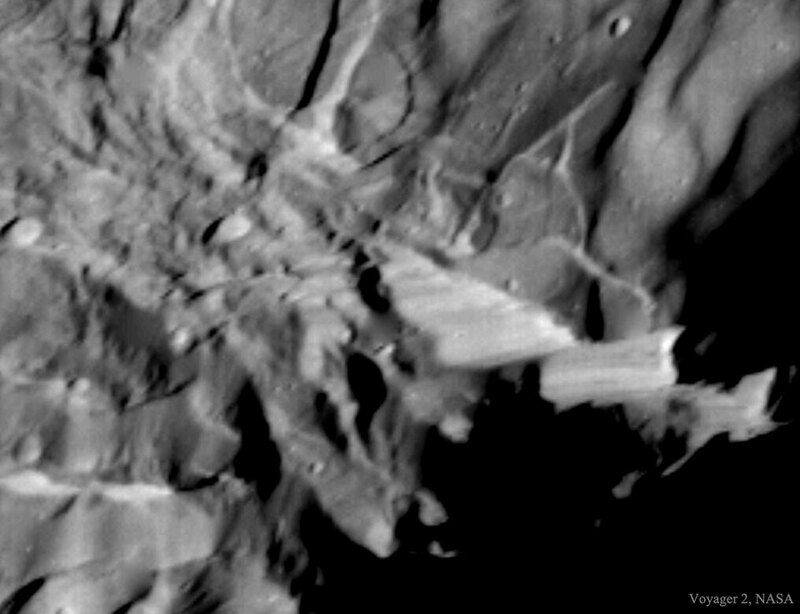 The featured image of Verona Rupes was captured by the passing Voyager 2 robotic spacecraft in 1986. How the giant cliff was created remains unknown, but is possibly related to a large impact or tectonic surface motion.